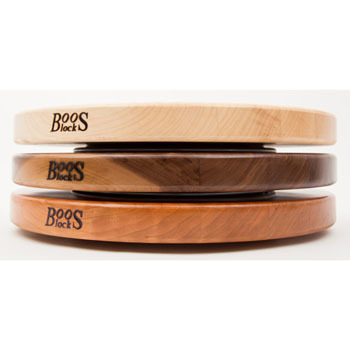 Free S/H on John Boos orders over $99! 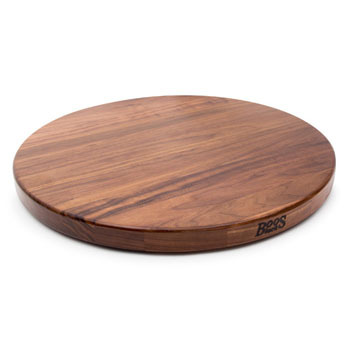 Available in Cherry, Maple & Walnut, this John Boos Lazy Susan is perfect to hold spices on your table top. 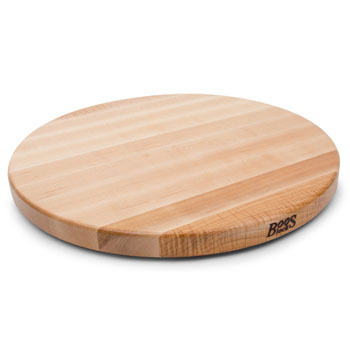 It measures 1-1/4" thick and comes in a 14" or 18" diameter. 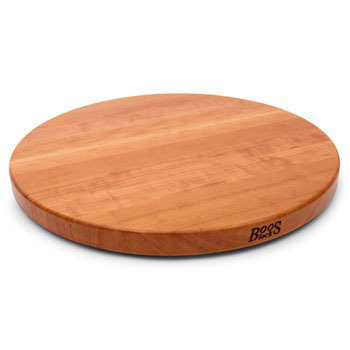 With edge grain wood and a varnique finish, the wooden lazy susan is a great accent to any kitchen area, whether on the table or in your cabinet. The lazy susan is stable with a Ball Bearing Swivel and non-slip padding. There are a lot of lazy susan's on the market. From very low end plastic units to this beautifully hand crafted solid walnut wood model. Walnut is a superb looking wood when properly finished and this piece is done right. The turn mechanism works smoothly and it is a handsome addition to our 54" round kitchen table. The only down side is the price but for the beauty and quality of the piece it is well worth it.